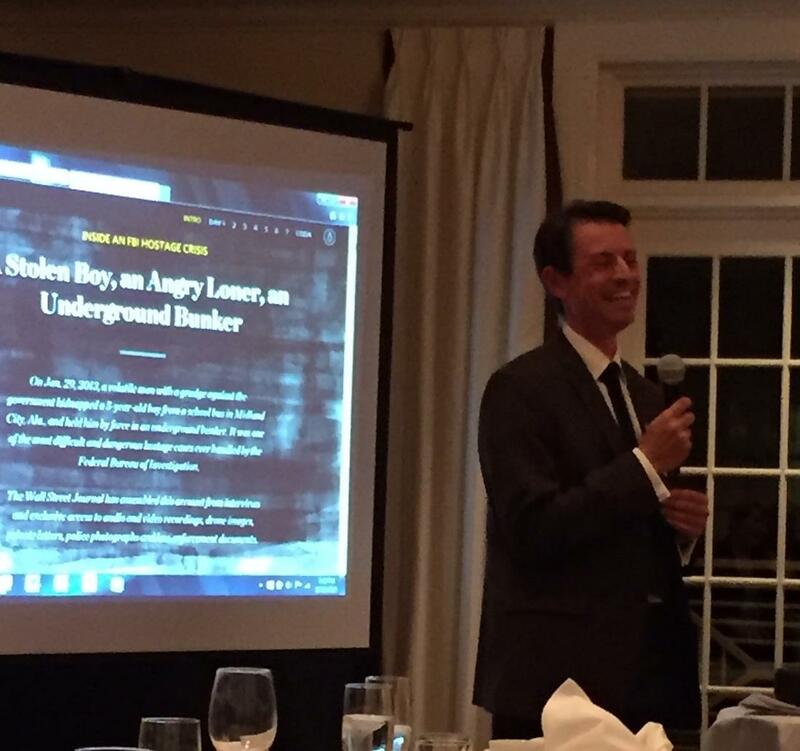 Matthew Rose, Deputy Bureau Chief of the Wall Street Journal's Washington Bureau, provided a great program to the Rotary Club of Leesburg on October 15, 2015. The club was fortunate and excited to host Matthew, who has an impressive career path in journalism, and is an engaging speaker. He shared how big stories are put together, using a recent article as an example. The article included mixed media, with print and video. The link to the video is here. Check out this very compelling story with a unique multi-media approach. The club warmly thanked Matthew for his excellent talk and welcomed him to return any time.